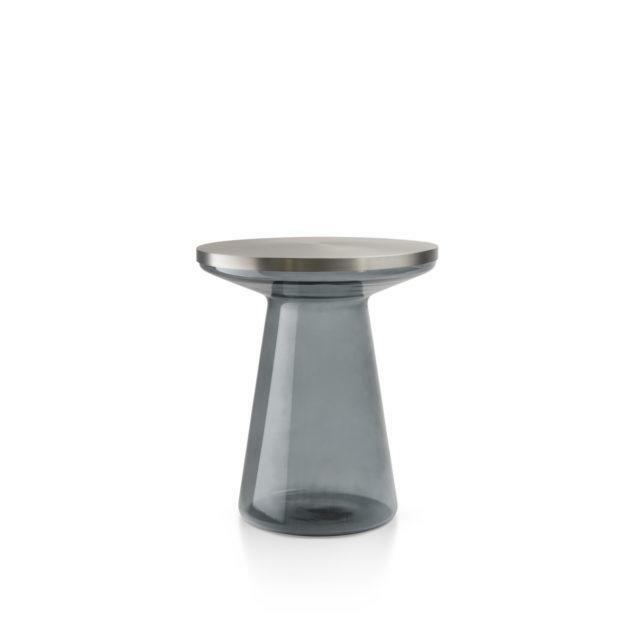 Figure Grey Glass Side Table. 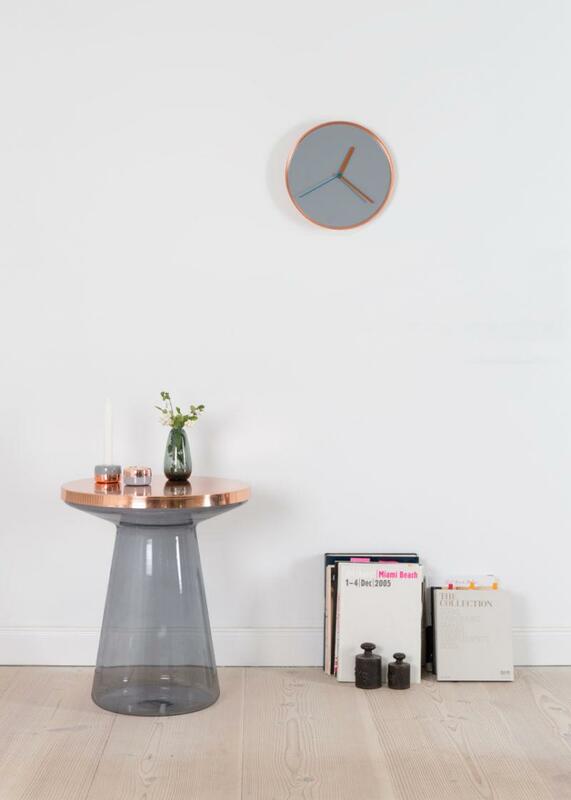 To be or not to be, in its transparency, the Figure glass side table appears airy and light, simultaneously being present and fading away. An eye catcher is the shape itself, inspired by playing pieces. 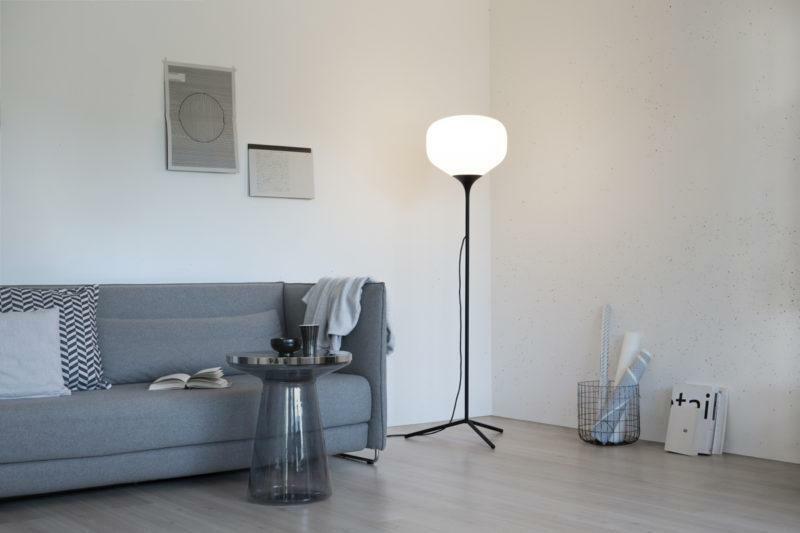 Mouth blown glass in various colour shades and a metallic table top with several available finishes makes Figure an excellent companion for your sofa. 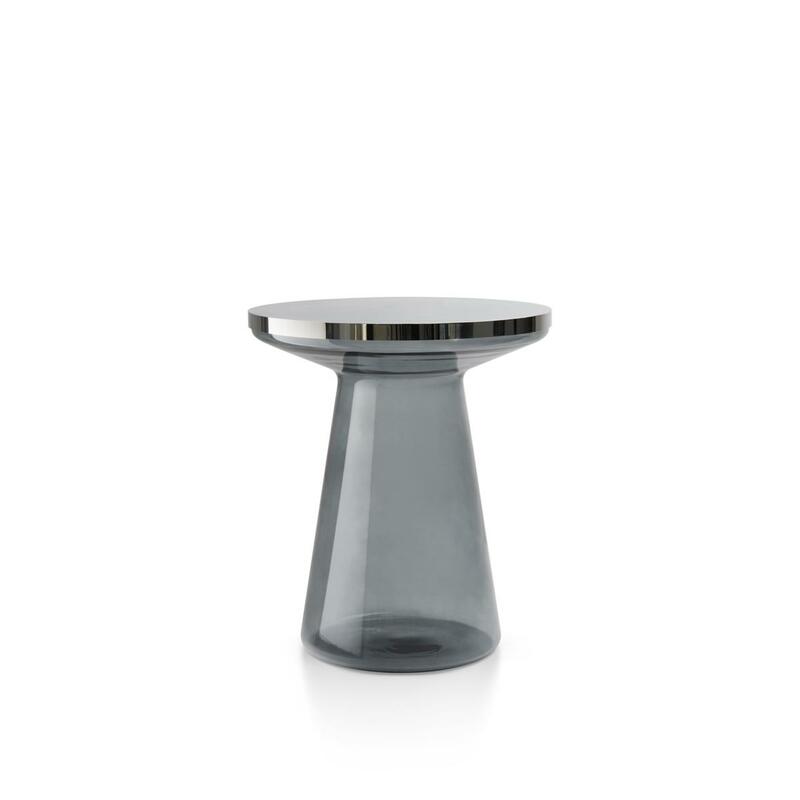 Clear Glass table available in 4 different table top finished, please select from drop down menu.